Following a successful run of Nandos establishments, James Russ was approached to design lighting for the restaurant’s Courtney Place branch in Wellington. James Russ created a family of pendants that provided task lighting as well as additional mood lighting in the form of miniature LED lights. 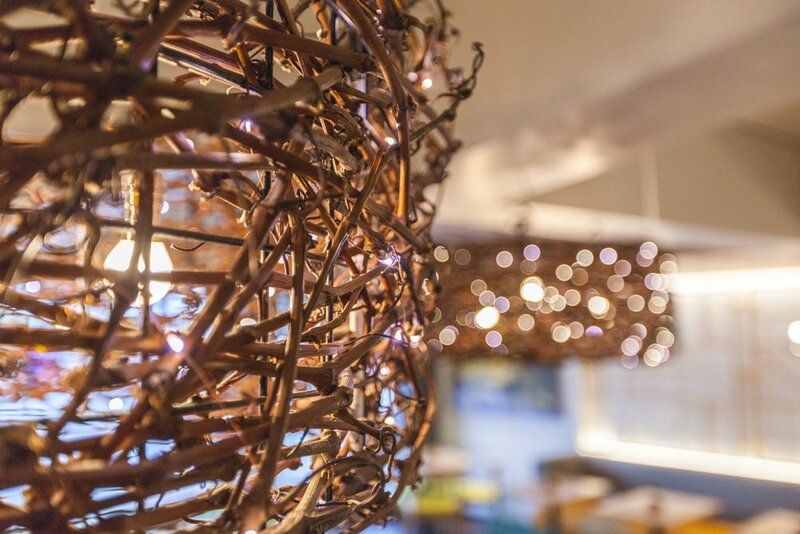 The Drum shades are made from recycled grapevines, handwoven through a metal frame. They bring an earthy element into the bright space that is Nando Restaurants.